It’s the time of year when stylish decisions become harder and harder to make- with unpredictable weather and sunny desires, it’s all too easy to forget practicality and go all out for that high summer look just a touch too early. If like us, you’re pining for the start of your true summer style, but need some inspiration to tide you over for the next month or so, then take a look at a couple of looks that we’ve constructed to cope with late spring fashion. 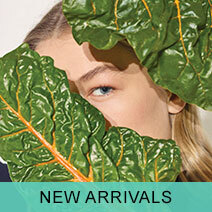 With touches of casual style, these ensembles make the most of premium design, with a super laid back day time look, and a few pieces that offer the perfect amount of versatility for evening wear. Making the most of some casual essentials, this look is all about comfort and versatility. Classic staple pieces construct a layered look that offers crisp edges, whilst a few retro touches bring it in line with this season’s best looks. Starting off this look with one of the trendiest pieces of footwear going, these Paul Smith trainers perfectly blend a fashion essential with luxurious designer style. Crafted around the classic retro runner look, these Mogg trainers feature vintage styling elements such as suede and mesh mixes and a cushioned sole. 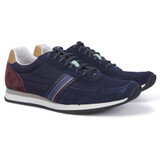 The deep navy tone ensures that they’ll sit well with anything, whilst the stitched stripe pattern on the side offers a nod to the Paul Smith brand, making sure that these sneakers won’t be ignored as a piece of design by one of the world’s most infamous fashion house. Adding another design classic into the mix, these Armani Jeans display the perfect example of casual style for late spring. Featuring light denim with white fades to the knees, these denims carry a slim fit with a narrow ankle opening, making them perfect for rolling past the ankle to give offer a true showcase for the Paul Smith trainers. The iconic Armani eagle sits on the back pocket of these jeans, giving just the right amount of branding without becoming too over bearing on what promises to be a simple, understated look. 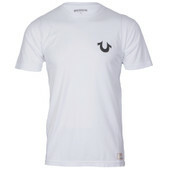 Keeping the base layer of this look simple and elegant, this True Religion t-shirt looks crisp and clean in sleek white. The True religion horseshoe logo on the chest gives it ownership to one of America’s most infamous denim aficionado’s, whilst a classic cut offers all the comfort you need and a style that is right on trend for the coming season. Adding a feel of sports luxe that compliments the Paul Smith trainers, this J.Lindeberg sweat adds the final touch of casual styling to this look. With a subtle quilted pattern, full zip fastening and a cuffed neck, this sweat is packed with a heritage look that has been given a premium twist to give it a high fashion feel. 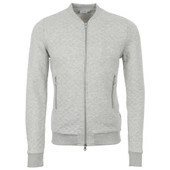 Giving a vibe that is all about understated elegance; this J.Lindeberg sweat completes his look in crisp, clean style. Providing the perfect look to help you move from the restaurant to the bar, this look makes the most of statement pieces and class leading denim, blending high fashion with timeless classics to give an undoubtedly chic look. 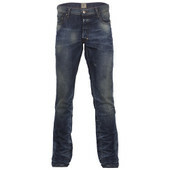 Coming from one of the kings of premium denim, these PRPS jeans are the perfect blend of quality, cut and style. With a tapered leg shape that offers an on trend narrow ankle opening, these PRPS jeans feature an attention grabbing optic that carries a used look with carefully placed and finished elements of wear and tear. 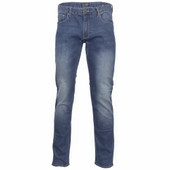 Crafted using African cotton, these jeans are top of the tree when it comes to quality, promising years of faithful wear. 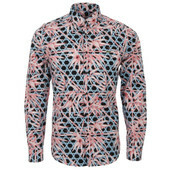 Providing a touch of instantly eye-catching style, this shirt is the statement piece that sets the whole look off. With a background that features the cross chain pattern that runs throughout this season’s L!ve range, this shirt carries a unique take on floral detailing. Embodying everything that Lacoste L!ve is about, this shirt is a true stand out piece, giving this ensemble the fashion forward look it needs. 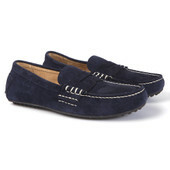 Adding a touch of heritage class to this look, these Ralph Lauren loafers are perfect for those warm spring evenings. Wear them with the PRPS denims rolled to the ankle and provide the perfect display for an unrivalled piece of iconic American styling. Contrasting stitching gives the perfect touch of light colour to blend with the faded denims, whilst a studded sole ensures that unlike some loafers, these Ralph Lauren editions stay sturdy on your foot. 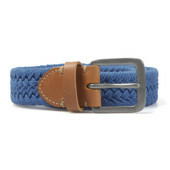 Providing the perfect split between the PRPS denims and Lacoste L!ve shirt, this Paul Smith woven belt provides an extra splash of blue that draws the Ralph Lauren loafers into the look. With leather tabbing and embossed branding, this belt offers the same classy touches that the Paul Smith brand has become synonymous with. 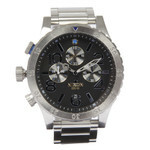 Finishing off this look with a touch of elegance, this Nixon 48-20 Chrono watch is the perfect accessory for your wrist. With a striking style thanks to its over sized casing, this Nixon timepiece features classic chrono styling, set against a dark face to give it a premium look. A Japanese Quartz movement keeps the whole thing ticking to sublime accuracy, whilst custom moulded hands give an extra touch of class to an eye-catching watch that will draw attention on any wrist.